I hadn’t thought of my Great Grandmother Essie Mae Parker in a long time. She died when my thirty-four year old son was about four or five years old. That’s about thirty years ago. She was in her eighties. I thought of her recently during my visit to Ghana in early July. Especially about her father who she told me was a slave. I was in Ghana to attend a conference of Womanist Theologians. 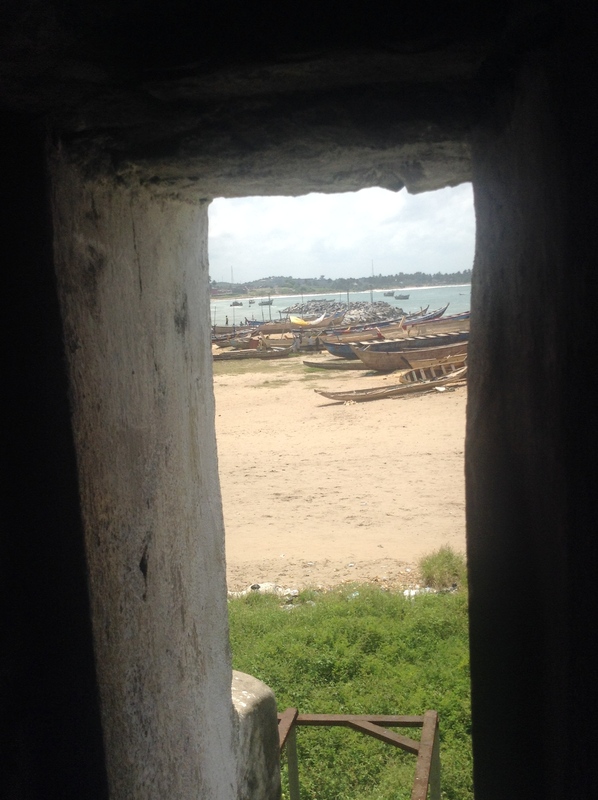 The theme of this second conference of African and African Diaspora Women was “Text of Terror, Text of Empowerment: Reimaging Sacred Canon In Africana Womanhood.” Part of the conference was a visit to Elmina Slave Castle on the coast. 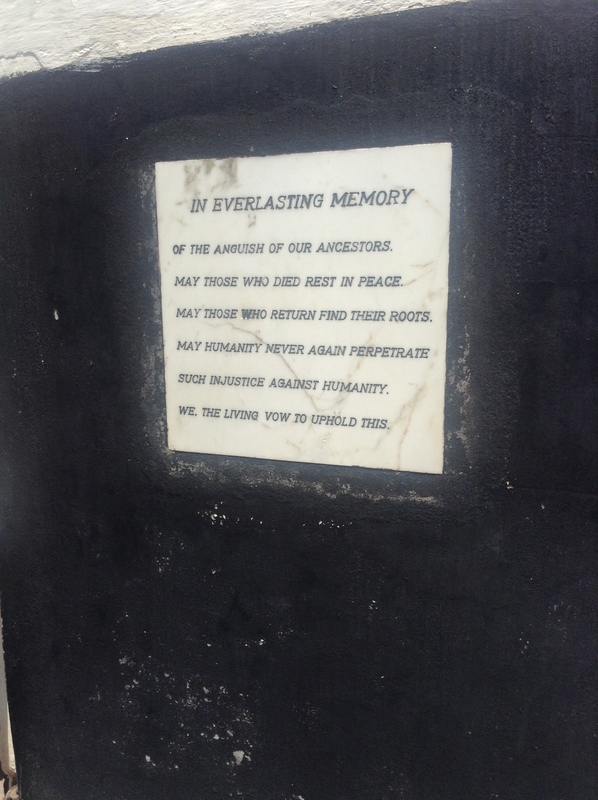 This visit affected me in a powerful way and brought my Great grandmother and her father to the forefront of my mind. Our tour of the Slave Castle began as twenty some women got out of two vans. I first noticed the beauty of the castle right there against the coast. The beautiful ocean set a contrast to the horror that this castle contained. 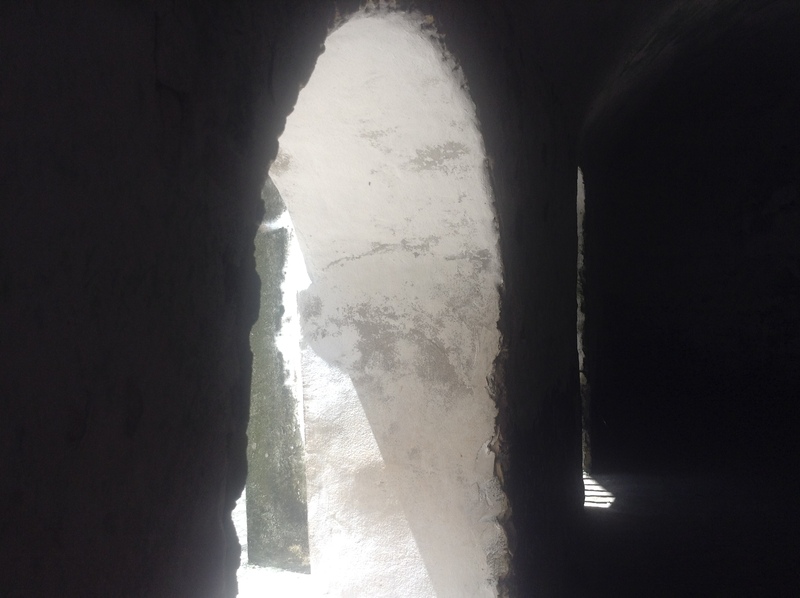 The entrance was arches set against the bright blue sky, but the history we heard about that began with the construction of the castle in 1482, was anything but bright. The video below will give you a glimpse of what we saw and heard on our two-hour tour. The tour guide in the video is the same one who guided us through the castle. The way he told the story was riveting. I came back for Essie Mae Parker’s father, carrying with me the Vicks, the Baldwins and the Walkers, and all of my African Diaspora ancestors. I came back to the land from which you were stolen and stood in a place that you suffered immeasurably and yet survived. I saw the door that you may have passed through never to be seen by family and friends again. Looking through that door I could imagine you or more likely your mother, father, grandmother or grandfather chained and stuffed sardine like into a ship and transported so far away from home. I came back to signify and witness to your strength and the strength of a people. I came back to let you know we survived. I came back so that I might truly understand who I am and be able to carry the story of unfathomable strength and endurance. I came back to say never again.